The Macallan 1926 60-Year-Old Malt. Christie’s Images LTD 2018. A one-of-a-kind bottle of The Macallan 1926 60-Year-Old Malt just sold at auction for £1.2 million, or $1,528,800. Christie’s Auction House set a world record this morning with the winning bid on this vintage Scotch – the highest price ever fetched at auction by a bottle of whisky. The whisky was distilled in 1926 at the Macallan Distillery on Speyside and aged for 60 years in Oloroso sherry casks made from Spanish oak. Finally, in 1986, just 40 bottles of The Macallan 1926 60-Year-Old Malt were filled and labeled. However, as the price might suggest, the bottle is worth more than the juice inside. 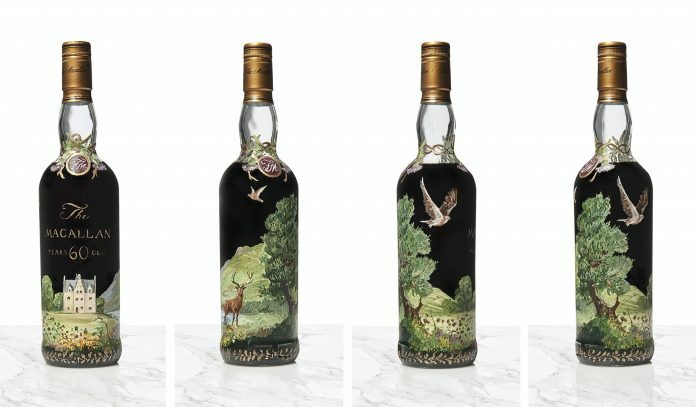 Irish artist Michael Dillon handpainted the glass of just one of the 40 bottles with an illustration of Easter Elchies House, the Macallan’s historic home set in the Scottish Highlands. Twelve of the original 40 bottles had labels designed by Peter Blake, best known for creating the Beatles’ Sgt. Pepper album cover. Another dozen were painted by Italian artist Valerie Adami. One of those dozen Adami bottles crossed the Christie’s auction block in 2007. It went for $75,000 – meaning the value of these whiskies has multiplied by 14 in the last 11 years. Christie’s has seen a huge increase in the worldwide demand for whiskey of all kinds. 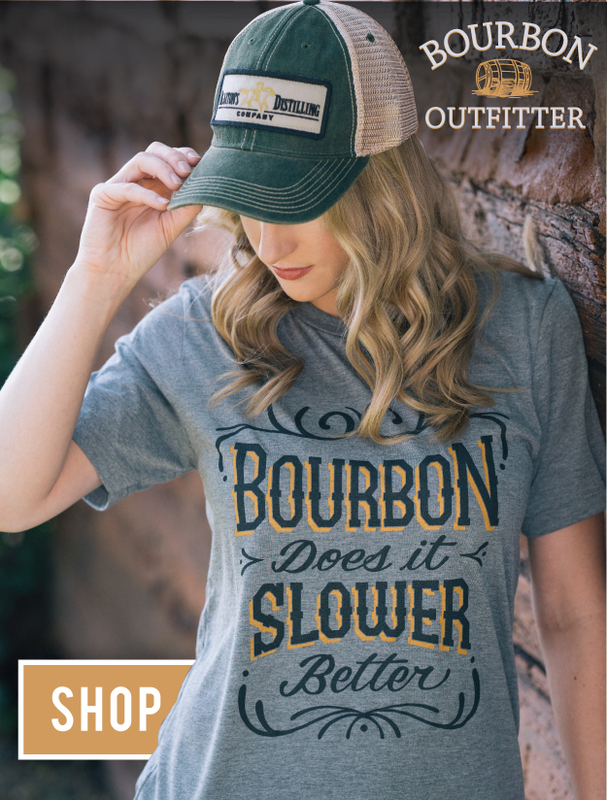 Earlier this month, they announced their largest ever lot of pre-Prohibition bourbon, to be auctioned off next week. “The sale represents a landmark moment in the whisky market with The Macallan 1926 60-Year-Old achieving $1,528,800 and establishing a world auction record for a bottle of whisky. The results confirm the strength of the market for whisky and the continued success of Christie’s in offering the finest spirits to our collectors across the globe,” said Triptree.